Seg. 1: Local and Regional Issues in Lee's Summit & Olathe. Seg. 2: Supported Decision-Making. 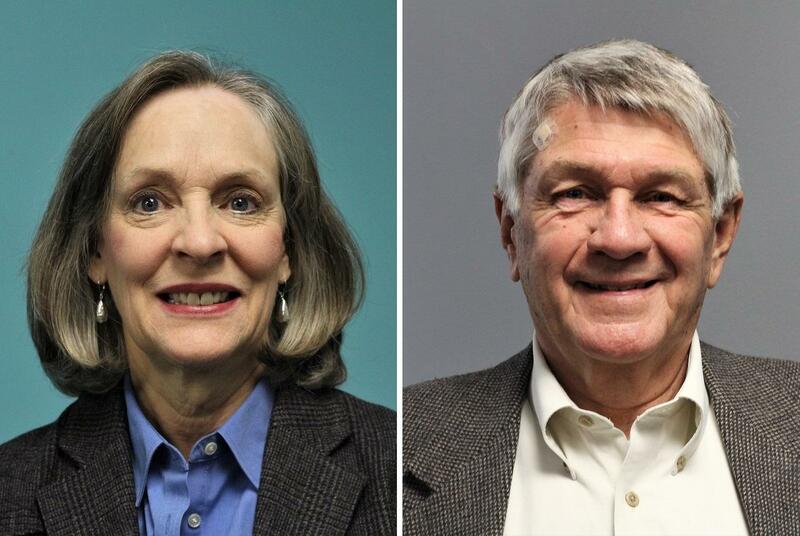 Both Karin Brownlee, left, and Bob Johnson have previously served in their respective state legislatures. Johnson now serves as District 4 councilman in Lee's Summit, Missouri. Brownlee is an at-large member of the City Council of Olathe, Kansas. Segment 1: Municipal leaders discuss the local issues their communities are grappling with, and the current events in Kansas City they're keeping an eye on. In metro regions like Kansas City, suburban communities often find themselves dealing with the same issues at the same time as their neighbors. Today, we'll get perspectives on how two area municipalities are approaching issues like tax abatements and land use, and why they are monitoring airport and crime developments in Kansas City, Missouri. Segment 2, beginning at 26:06: How the developmentally disabled can be empowered with more authority over critical life decisions. Guardianships are frequently used to help make financial, legal, or medical decisions for the developmentally disabled, but there are ways to get the individual in question more involved in the process. We learned about some of the hurdles that keep disabled people from being more empowered, and the benefits that come from having them more engaged.